Come out Tuesday, October 9 from 4:00 – 9:00 PM and support the Nokesville Church of the Brethren’s continuing Major Maitenance fundraising effort. Click on the link below to open and print the Coupon. Then present the coupon when you order and 20% of your total bill will be donated to the church. Bring your family and friends for a great meal and help support a great cause. 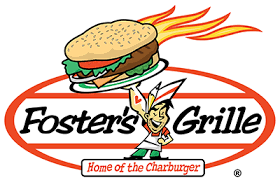 Foster’s Grille is located in the Harris Teeter Shopping Center: 10266 Bristow Center Dr, Bristow. Previous New Online Church Directory!